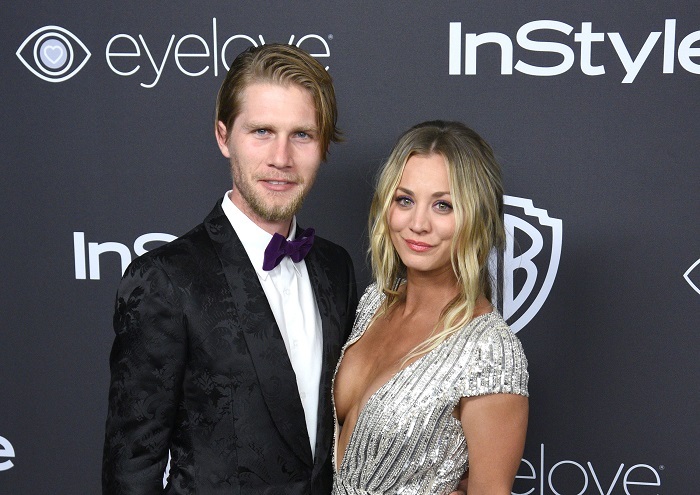 Kaley Cuoco of the "The Big Bang Theory" and equestrian Karl Cook tied to the knot on Saturday, June 30. After dating for more than two years, the two had an intimate wedding at a horse stable near San Diego. Cook posted a picture of them kissing with the caption, "Legally KCSQUARED 6-30-18." While we're all familiar with Kaley Cuoco as Penny on "The Big Bang Theory," fans are less aware of who Karl Cook is. Here's what you need to know about Kaley Cuoco's other half! Karl Cook started riding horses at the age of 8. In 2016, he won first place in the $25,500 SmartPak Grand Prix and the $15,000 UltraOz Jumper. Cuoco also loves horses, and has competed in horse jumping competitions. The first time he asked Cuoco out was super romantic. Here's the story: Kaley Cuoco was at a Valentine's Day horse show when Karl Cook rode up on an electric bike. Holding a bottle of champagne, he asked Cuoco to have dinner with him. He didn't know who Cuoco was at first. When he asked Cuoco out, Cook had no idea who she was. He thought that she was just a horse-lover and an equestrian. He had no idea that she was also a TV star! He is the youngest in their marriage. Cook was born on Christmas in 1990, whereas Cuoco's birthday is November 30, 1985. That puts them at 27 and 32-years-old, respectively. He comes from a wealthy family. Cook's father is a billionaire and the richest man in Indiana. His parents founded a successful medical equipment company called Cook Group. Cook himself has a reported net worth of $350,000, and is set to inherit his family's fortune. He faked the engagement once before. On Cuoco's birthday, Cook teased her with a giant, take diamond ring while shopping at Target. Hours later, he treated her to a romantic candlelit dinner at home where he had prepared all of her favorite foods. He chose that moment to surprise her with the actual ring, and of course she said "yes!" His last name is perfect. Cook already shares a last name with Cuoco's dog Norman. Her Instagram handle is @normancook, after her beloved pooch. Cuoco is also Italian for "cook." Their marriage was meant to be!